Geneva Apachito of the Navajo tribe was born in 1969, the daughter of Raymond and Genevieve Apachito. She learned silver work from Genevieve and signs her pieces Geneva J.A. 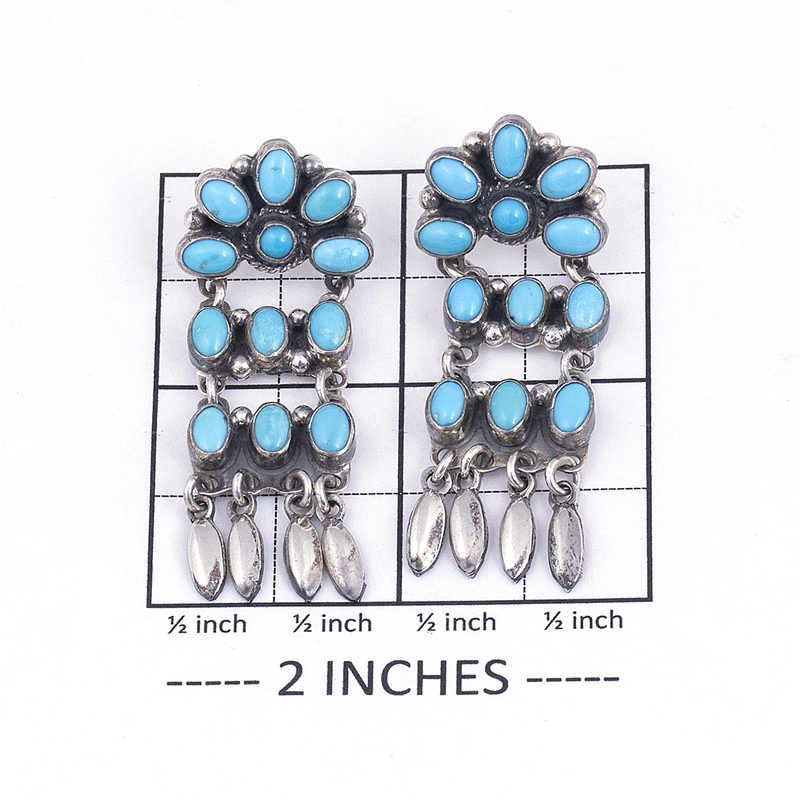 These dangle earrings are light and flirty, and will add the perfect southwestern flair to any outfit! They measure 13/16″ in width and 2 1/8″ in length, with a post back. 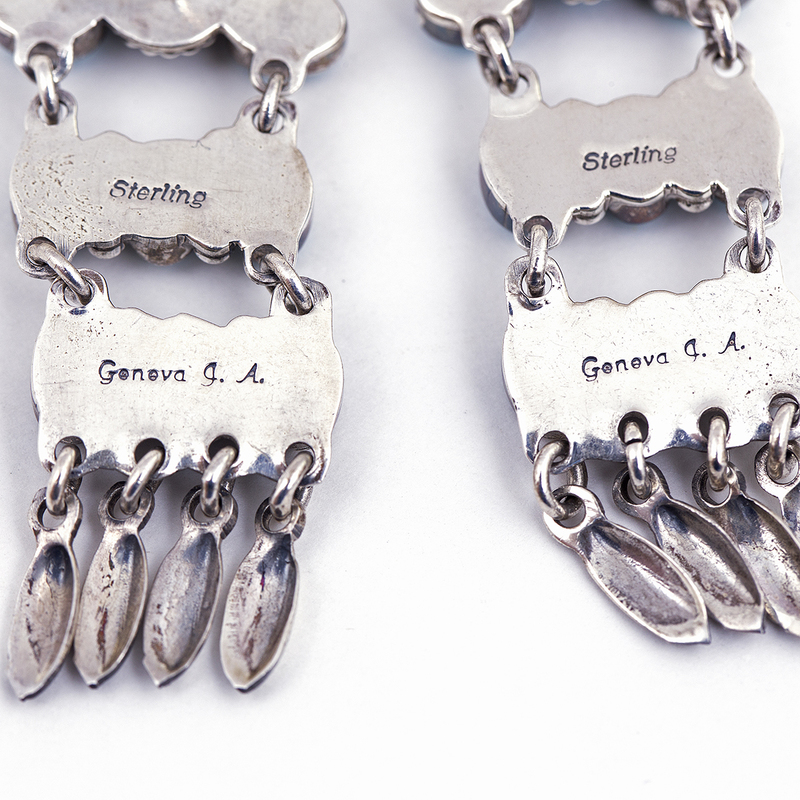 Hallmarked “Geneva J.A.” and “Sterling”. Weigh 17.9 grams. 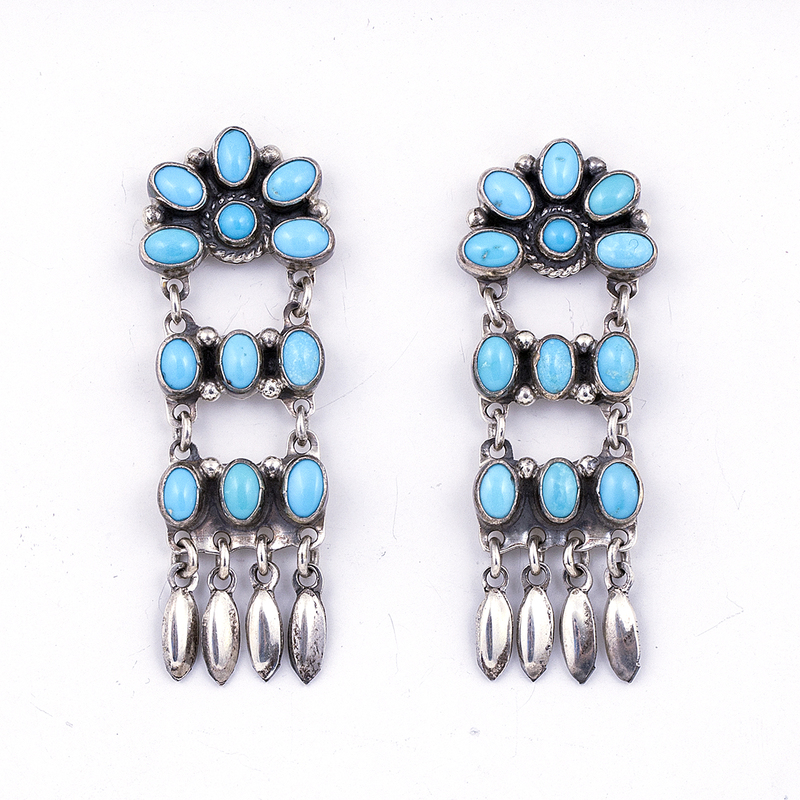 Geneva Apachito Turquoise Dangles feature sweet little silver repousse slivers at the bottom of three tiered turquoise clusters for an updated Navajo style!